Aluminum foil is one of those magical products that seem to have a use for just about everything, and the outdoors is no exception. Though it’s probably safely tucked away in one of your kitchen drawers right now, you might consider taking it along with you on your next camping trip. Aside from wrapping up sandwiches, aluminum foil has several pretty clever uses in a camping setting. 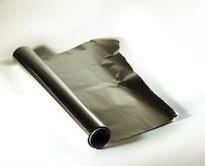 Whether you’re cooking, cleaning, or just need something to make your outdoor trip that much easier, these applications for aluminum foil are certainly worth trying it out. If you’ve got an old metal johnboat or an ATV that is stowed away a few months out of the year, chances are pretty good that it’s collected some rust over time. Though a little rust won’t destroy your outdoor toy, it is far from aesthetically appealing. But by balling up a piece of aluminum foil and giving the rusty spot a rub down, you can get rid of minor surface rust fairly easily. Just don’t try to use it for more serious rust spots, as you’ll probably end up with a gaping hole in your equipment. When your favorite campsite has a built in grill, wanting to use it comes naturally. But a grill brush is one of those extraneous items that campers tend to forget. By using a balled up piece of aluminum foil – much in the way you would in the above rust removal tip – you can clean that grill’s nasty grate in a snap. It won’t be perfect, but the foil conforms well and provides enough friction to remove much of the grime on the grill’s grate. Few things are more frustrating than trying to cut with an exceedingly dull pair of scissors. That frustration is compounded when you’re at a campsite without access to a sharpener. Those scissors can be sharpened, though, by folding a strip of aluminum foil several times over and using the scissors to cut them. Simply repeat the folding and cutting process until the scissors’ blades are sufficiently sharp. Campers often find it hard to enjoy a can of soda or sweetened drink in the outdoors because of all the pesky bugs flying around it. To keep them away from your face and out of your favorite drink, just fashion a lid out of aluminum foil and poke a straw through it. It creates an almost-airtight cap that keeps the bugs at bay. If you want to cook some fresh caught fish – or any kind of hard-to-grill food – over an open fire, packing it in a few layers of foil, wrapping it up, and tossing it over hot coals is a very effective way to cook. The foil traps and radiates heat, which in turn cooks your food quickly and conveniently. Just be sure to have a long stick or spatula handy so you can pick your food out of the fire. With all the extra convenience that aluminum foil provides in the outdoors, there’s no reason not to bring it along in your next camping trip. From the maintenance of your prized equipment to the replacement of bulky frying pans, aluminum foil can be used to make those often loathed jobs that come with camping quicker and less tedious to perform. Plus, for the environmentally conscious camper, foil is very easily recyclable – giving you some intrinsic benefit in addition to its functional uses.